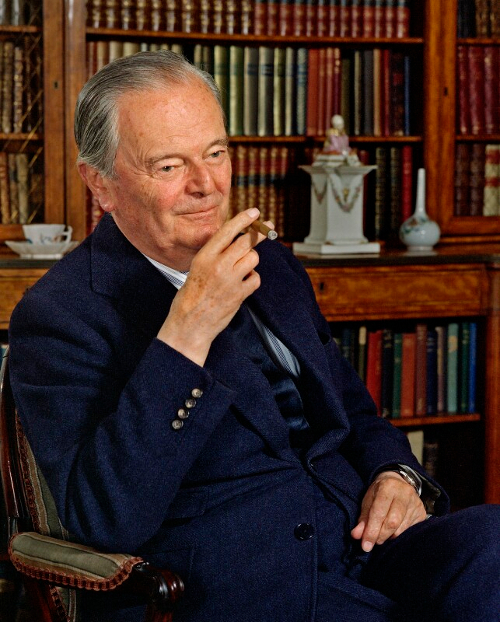 The British historian, Kenneth Clark — The Right Honourable the Lord Clark — was knighted at the age of 35. He must have been doing something right during his time at the Ashmolean, and as the youngest director of the National Gallery, to be honoured at so young an age. 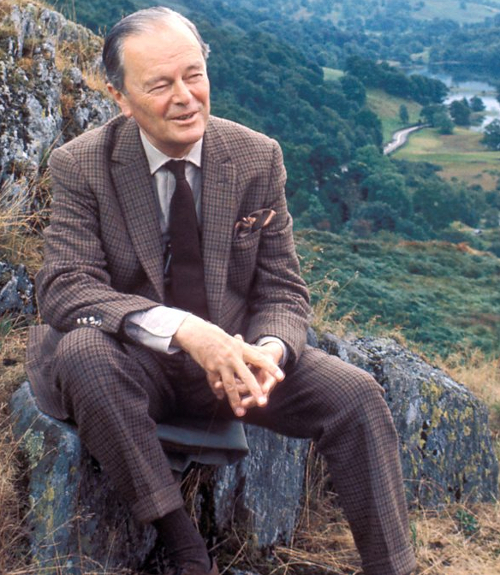 One thing he certainly got right three decades later was Civilisation: A Personal View by Kenneth Clark, a series of 13 programmes commissioned by David Attenborough for the BBC that was filmed over three years starting from 1966. It is quite possible that through this breakthrough series he earned his later life peerage. During filming, Alan visited thirteen countries and extemporised, using his immense knowledge, on the art and architecture of Western civilisation. The depth of the undertaking and the erudition employed has rarely been matched on British television. Any attempt at revising what he documented merely underlines how far we have drifted from what civilisation means. Follow the truth. Since then, TV has lurched towards courser, louder and stupider. The presenters removed their ties and we all switched off and cancelled our licence fees. C'est la vie. What was Kenneth's idea of civilisation? Well he thought it preferable to barbarism and was happy to say so. Are we now? Perhaps a feature, rather than fault, of civilised people is that they aren't vociferous enough to champion the civilised cause. Barbarians, on the other hand, are terribly noisy oafs and tend to hog the limelight. 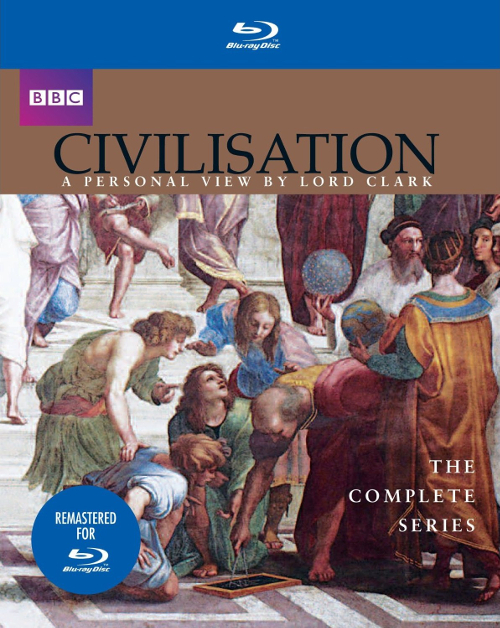 You can now watch Civilisation in glorious blu-ray high definition. I kid you not, the clarity of the reproduction is absolutely superb in terms of colour and tone, and overall cleanliness of the picture. This is really how Civilisation was meant to be seen (until a 4K UHD reproduction is made — and here's hoping). The DVD is highly recommended as a gift. As it has the most civilised film classification of all — 'Exempt' — it makes a suitable gift for sophisticates of all ages. I'm watching Civilisation periodically on a friend's home projector. Each time I visit, we watch an episode before the main feature. The main feature this week, if you're interested, was Careless with Claudia Cardinale. I've been wanting to watch this film for a long time as it has lots of melancholy scenes shot in the rain — che meraviglia. I've been speaking with knowledgeable people and the consensus is that Civilisation should be sandwiched below Brideshead Revisited but above A Passion for Angling in terms of the greatest Tweed TV ever made. I don't think there's anything controversial in this decision, but things could change. 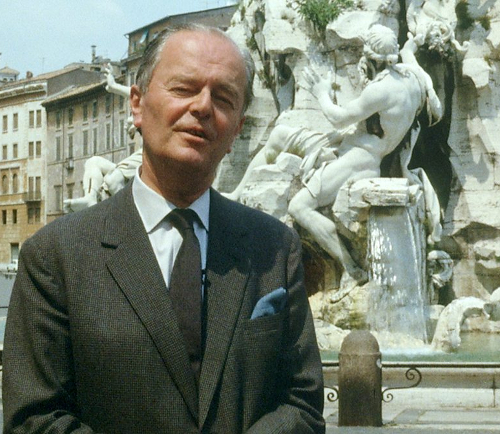 As always, you will be as interested in what Kenneth Clark wears in Civilisation as much as what he says. His dress-sense is a lesson in fogeyish restraint, particularly considering he's presenting the programme in the swinging sixties. In the photo just above I believe we see a knitted tie beneath the donnish suit. The cigar holder is a nice accessory for pontification, but not as good as a pipe. With a pipe you can appear to know the answer to everything. 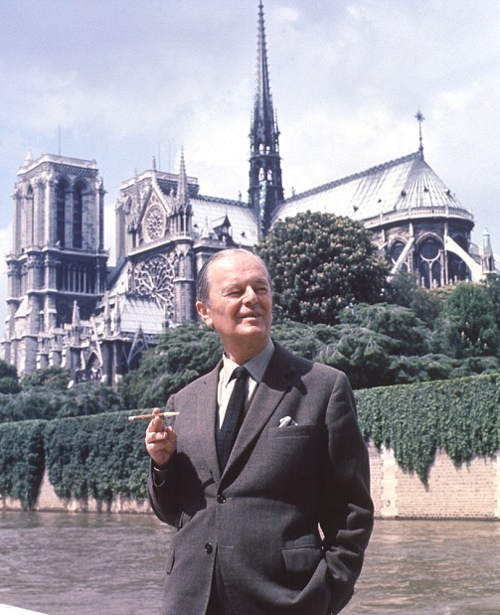 A great wheeze would be to visit the sites that Kenneth Clark visited in a worsted suit and recreate some of the scenes. One for the bucket list.